The first time I made Gluten-Free Banana Porridge for my family, they went nuts. I make it all the time now even though we’re not gluten-free. Having said that, my husband and I would both admit we feel better when we consume less gluten. 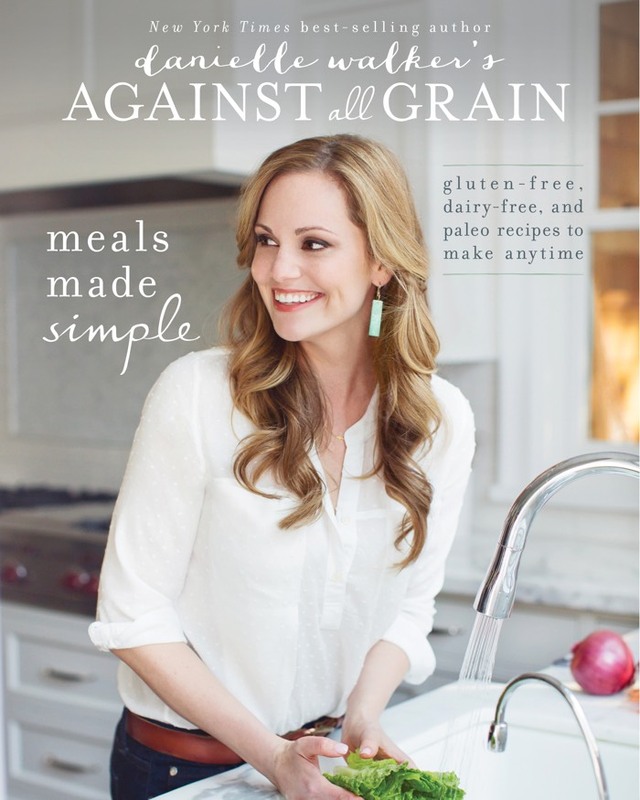 Danielle Walker’s first book -- which contains the aforementioned Banana Porridge recipe -- was (and still is) a gangbuster hit, so trust me when I tell you that her second book, Against All Grain_ Meals Made Simple, is just as exciting and eye-opening when it comes to eating a gluten free and/or paleo diet. I was looking to try out a recipe or two from the book but while reading it everything looked so amazing I ended up putting tabs on more than half of the pages. 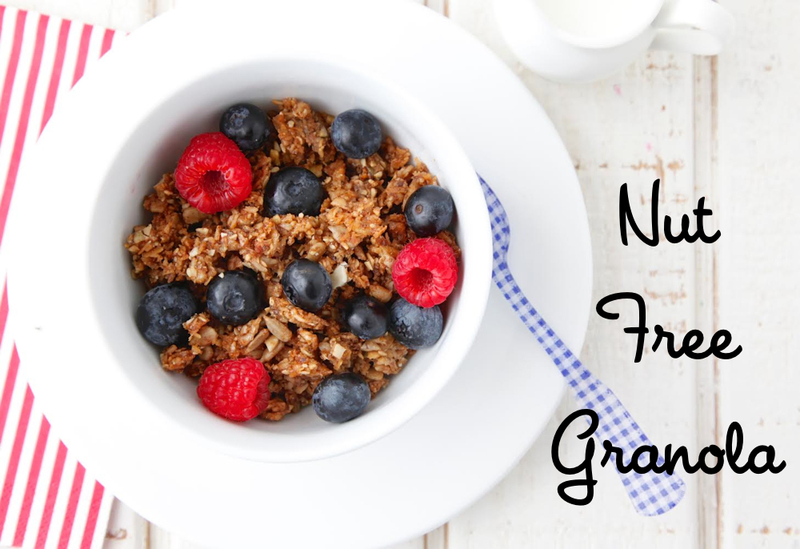 That didn’t exactly help me narrow down my choices for what to test, so remembering how much my brood loves Danielle's Banana Porridge recipe, I decided that another breakfast recipe like this Nut-Free Granola had to be a score. 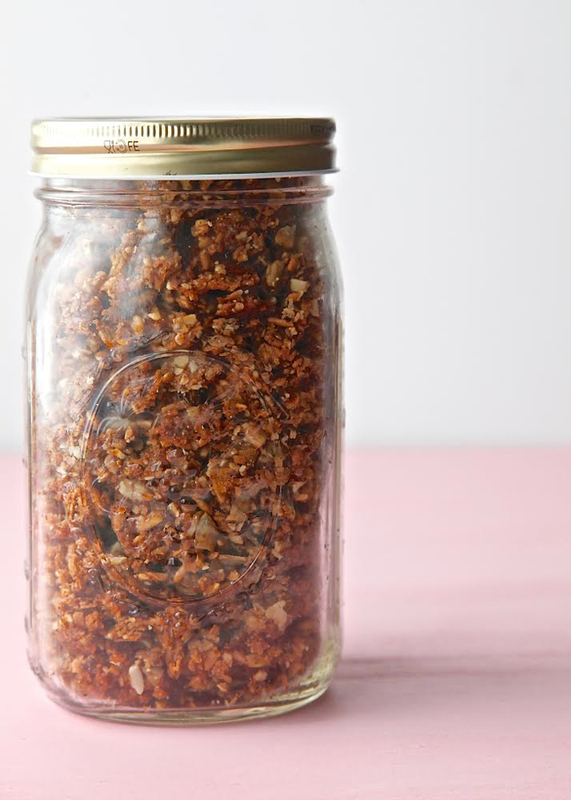 A simple honey syrup is made and then tossed with everything from chia seeds to coconut, pepitas, cinnamon and more, creating a scrumptious granola that demands to be served with almond milk or yogurt -- although I ended up munching on handfuls of it simply on its own throughout the week. 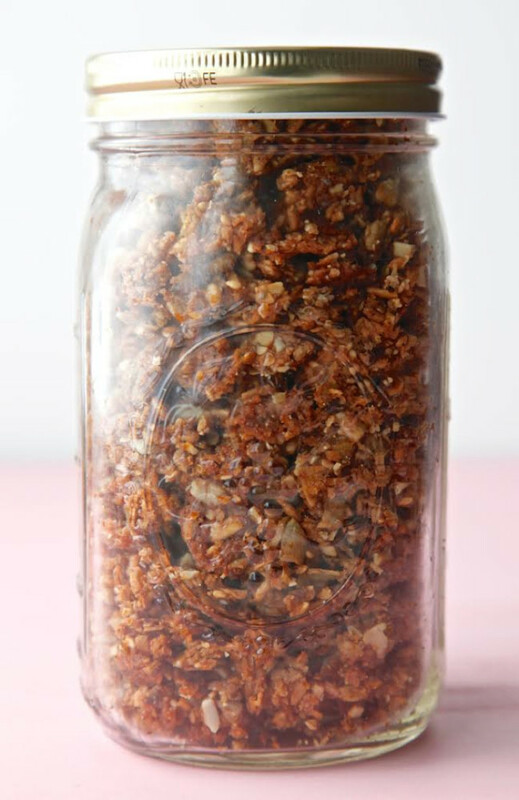 I added some to my kids' school lunch (a picture of it from my Instagram is posted here for you to see) since it’s a high protein snack treat that's perfect for nut-free schools. I'm so excited that Danielle is generously offering five Weelicious readers the opportunity to receive one of her new books. For a chance to win a copy, just tell me what your favorite gluten-free or paleo recipe is in the comments. Good luck! This giveaway is now closed. Congratulations to the winners! Prize_ Five (5) lucky weelicious readers will receive a copy of Danielle Walker's Against All Grain_ Meals Made Simple_ Gluten-Free, Dairy-Free, and Paleo Recipes to Make Anytime. I have not been compensated in any way. All views and opinions expressed are my own. Duration_ This giveaway will be open until Thursday, November 6th at 11_59pm. Who Can Enter_ Open to residents worldwide! 1. Preheat oven to 350F. LIne 2 rimmed baking sheets with parchment paper. 2. 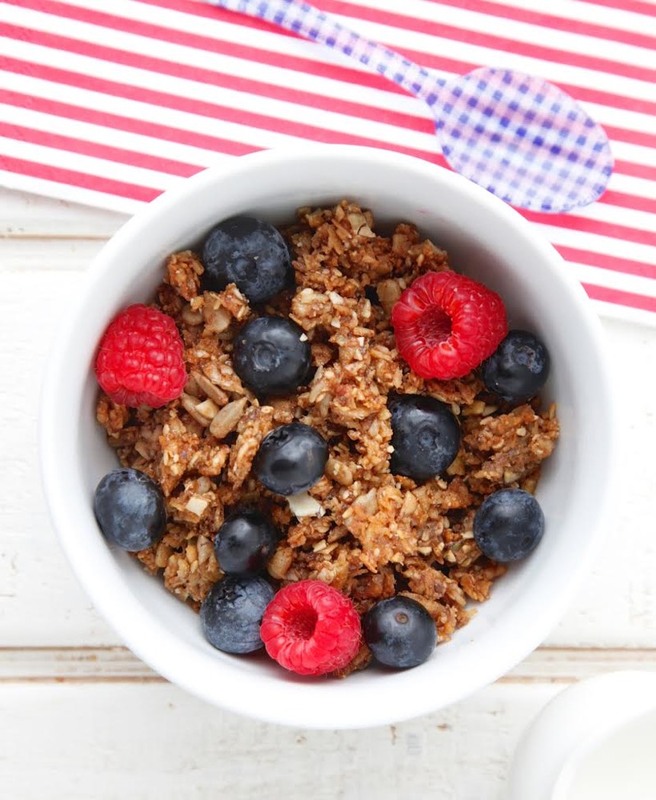 Mix the warm water and the chia seeds in a small bowl and place in the refrigerator. 3. Melt the honey in a sauce pan over medium heat. Simmer on medium-low for 5 to 7 minutes until a candy thermometer reads 225F. If you don\\\\\\'t have a candy thermometer, look for the honey to fully liquify and be bubbling. Remove from heat and stir in the coconut oil and sunflower seed butter. 4. Meanwhile, combine the pepitas, sunflower seeds, sesame seeds, salt, vanilla and cinnamon in a food processor. Pulse for 30 seconds. Transfer to a large mixing bowl. 5. 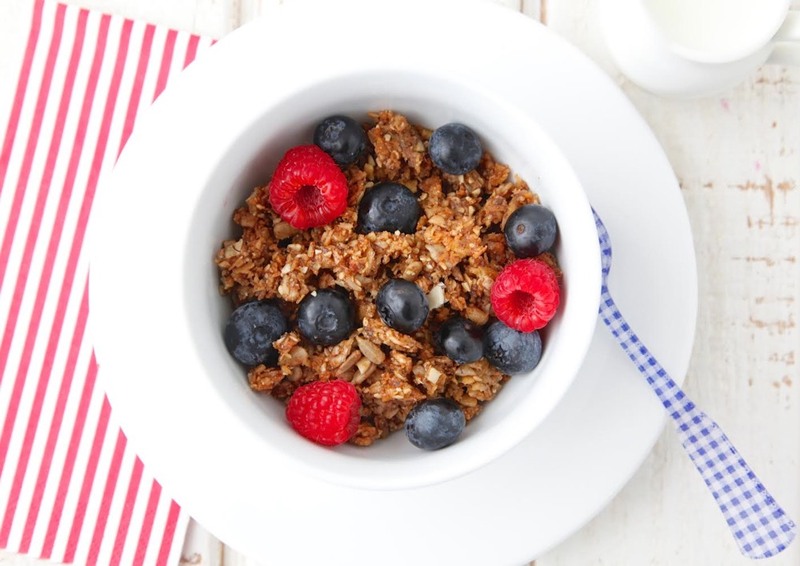 Stir in the melted honey mixture, coconut, and soaked chia seeds, then thinly spread mixture on the prepared baking sheets. 6. Bake for 15 minutes. Remove and let cool completely.